Fanatic SUP is one of our very best selling SUP brands, and for good reason. With a long established background in manufacturing watersports equipment, they know a thing or two about making good watersports kit. 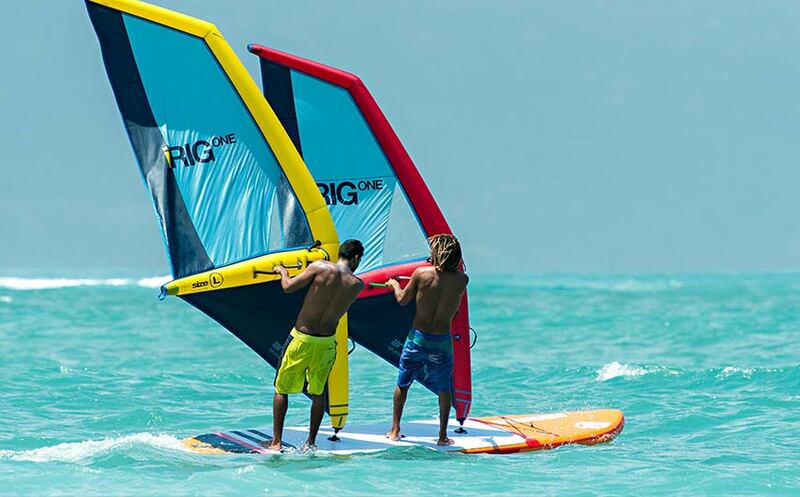 They're experience has enabled them to come up with a range of high quality inflatable SUPs, that perform brilliantly, and come in at a great price. 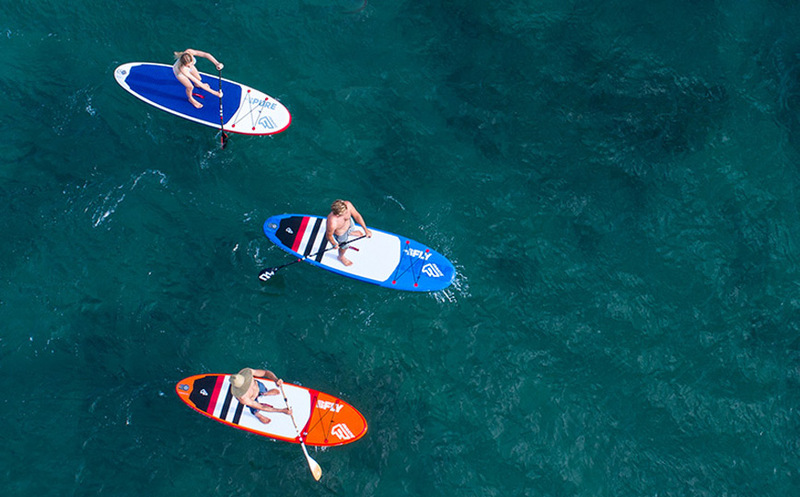 Read on for the low-down on our favourite bits about the Fanatic SUP range. Fanatic's allround-performance offering uniquely consists of three different models all with exact same dimensions. At 10'4 long, 33" wide and 5.5" thick they offer a stable platform and a great blend of maneuverability and forward paddling speed. This is the true allrounder, great for families, beginners, surfing and experienced paddlers alike. 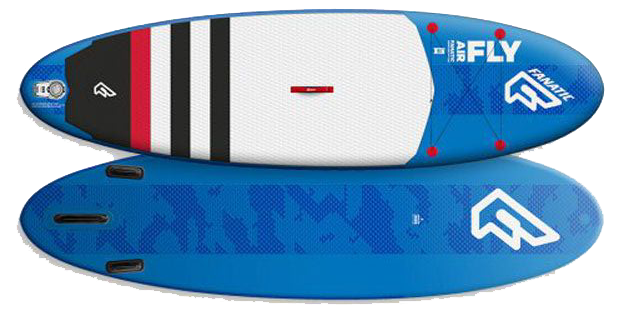 Dimensions: 10'4 x 33" x 5.5"
The Fanatic Pure Air is a unique board in the SUP world. The Allround version is only £599, and the Pure Air Touring is £699, which is incredible value. And these aren't cheap-n-cheerfull SUPs from a dodgy manufacturer, they come with all of the quality and heritage of the Fanatic SUP brand. 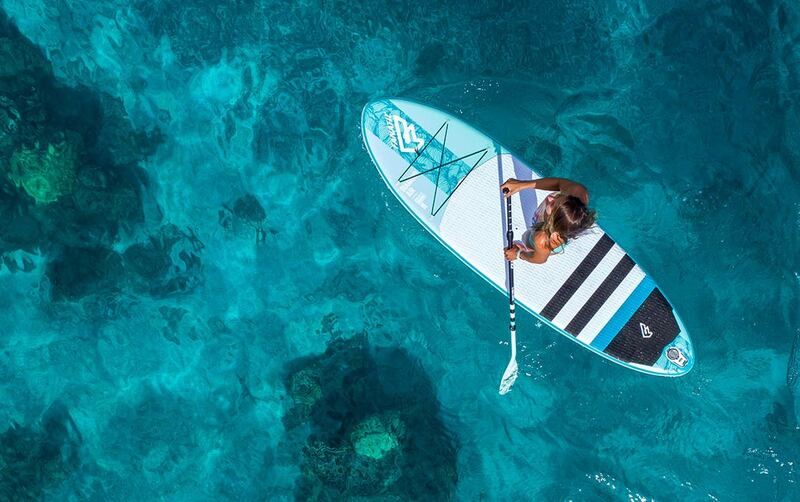 The Diamond Air is the girl's specific offering from Fanatic SUP. 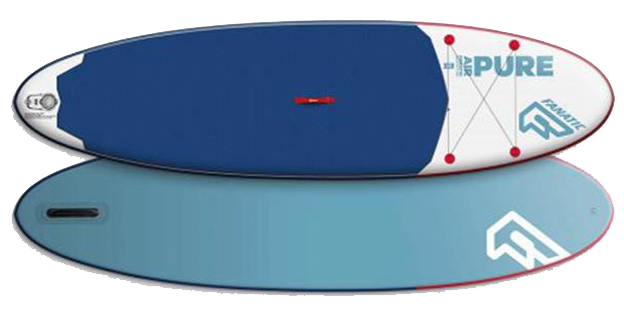 It's a lightweight SUP with great style, and is one of our best-selling women's specific SUP boards. The Fanatic Diamond Air is available in allround and touring shapes. The Fanatic SUP range is huge. They have thought of everything and created the perfect inflatable paddleboard for whatever you're into. Whether looking for an allrounder, a long distance tourer, a toy for the family, a race SUP or something a little sillier like this tandem SUP with windsurf sail attachment points, Fanatic have built it. 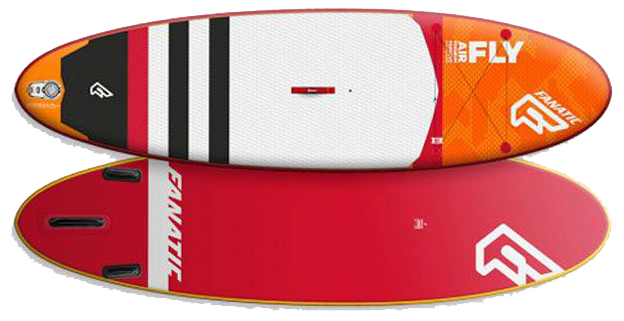 We keep a huge range of Fanatic SUPs in stock, available for free and fast shipping. We're a big fan of Fanatic's ethos. As a brand Fanatic are committed to protecting the environment in every way that they can. They use ethically sourced and sustainable raw materials wherever possible, and they do everything that they can to offset their carbon footprint. They constantly seek to improve the manufacturing process by fine tuning and researching their construction techniques, packaging materials and distribution method. Each Fanatic SUP proudly displays the 'Ocean Minded' logo.